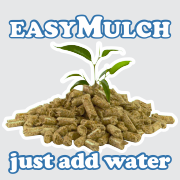 EasymulchThis year I have been trying a new product I have found called easyMulch and it’s working out really well. The mulch is essentially pelleted straw that expands once it is wet. I'll cover my opinions on each of these claims. . . .